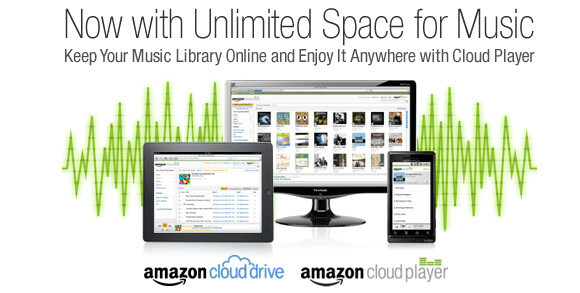 Amazon have just socked it to their rivals by announcing that they are going to allow unlimited music storage for users of its Amazon Cloud Player service. The change in terms means that Amazon’s cloud player will now allow unlimited music and MP3 storage, so long as the user has bought one of Amazon’s cloud storage plans at $20 or more. Users can upload as many MP3 and AAC (.mp3 and .m4a) files as they want and these will not take up any of their Cloud Drive storage space.